She was beautiful, but not like those girls in the magazines. She was beautiful for the way she thought. She was beautiful for that sparkle in her eyes when she talked about something she loved. 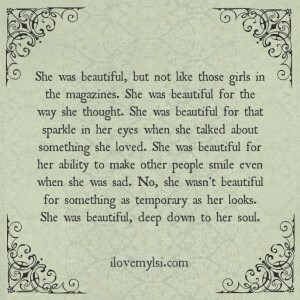 She was beautiful for her ability to make other people smile even when she was sad. No, she wasn’t beautiful for something as temporary as her looks. 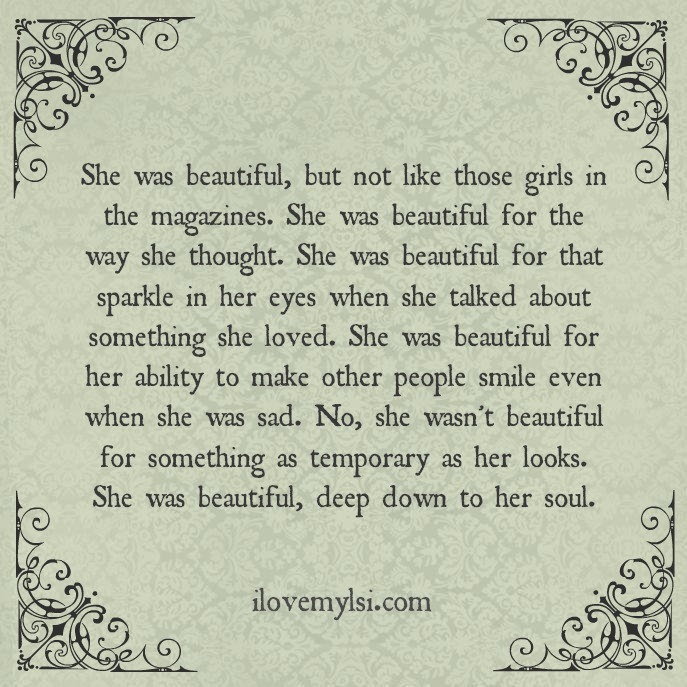 She was beautiful, deep down to her soul.